Leigh Electrical offer a comprehensive Service for all of your Domestic Lighting needs in Southend, Essex and London. Our experienced and highly rated Electricians offer a prompt, friendly, convenient and affordable service. We cover all forms of Lighting installations and repairs around your home. All of lighting installation work is covered by the full NICEIC 5 Year Guarantee. Having been established for over 50 Years you can be assured of a professional finish and prompt conclusion to any works undertaken. We have installed thousands of lights around Southend and Essex and can generally supply and fit most forms of lighting the very same day. Our Electricians have received hundreds of 5 star reviews for the quality and value of our service, please follow these links to see what some have said about us on Check a Trade and Trust a Trader. We can also happily come and fit lighting systems that you have purchased yourself, please contact us to discuss your requirements. Call us today to arrange a completely free, no obligation quotation for any domestic lighting works you may require on 01702 873350. We also offer a complete set of Electrician Services to Householders and businesses in Southend, Essex & London. 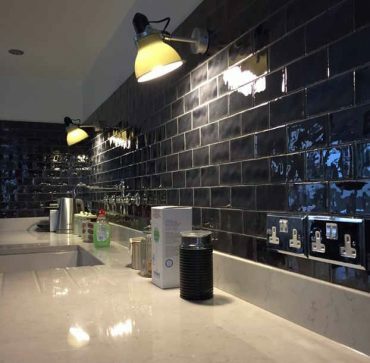 Installing LED Spotlights has become a popular option for householders seeking an evenly spaced light within their premises, whilst reducing electricity bills and providing a clean smooth finish to a room. Leigh Electrical can supply all manner of spotlights and install them virtually anywhere within your home. They follow the following links to see some recent examples of spotlights installed within a bathroom and how spotlights can add superb even lighting and a crisp finish within a kitchen. 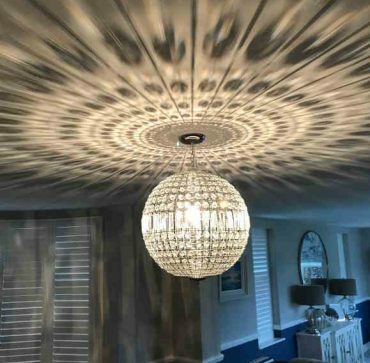 Spotlighting can easily be installed elsewhere within your property, another popular way to use spotlights can be to install them in conjunction with feature lighting in dining/kitchen areas and living spaces. 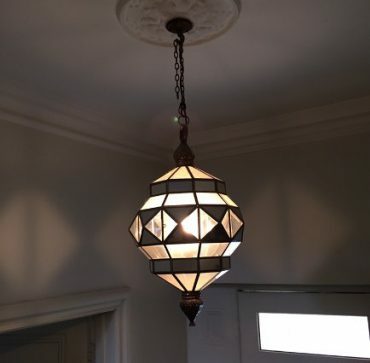 Leigh Electrical have significant experience in the supply and fit of all manner of hanging and feature lighting. This can range from standard installations of bulbs and shades up to the installation of chandeliers and other feature lighting pieces. 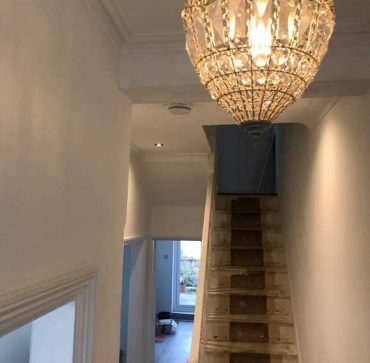 Follow these links to view some recent examples of lighting installations in the Southend and Essex area carried out by Leigh Electrical. Wall mounted lighting can offer a perfect solution to householders looking to enhance the look of their property. Typically installed in hallways but increasingly so in kitchens and dining areas, wall mounted lights can provide a perfect aesthetic finish to a space. Leigh Electrical can supply and fit any type of wall mounted lights you may require and can also fit lighting which you have provided yourself. For more information call us directly on 01702 873350, to arrange a time for us to complete a site survey and leave you with a completely free no obligation quotation for your lighting works.